Hundreds of fantastic gift ideas for guitar lovers! Performed by Alan Jackson. Piano/Vocal/Chords Songbook (Arrangements for piano and voice with guitar chords). Size 9x12 inches. 40 pages. Published by Hal Leonard. Piano/Vocal/Chords Songbook (Arrangements for piano and voice with guitar chords). Size 9x12 inches. 416 pages. Published by Hal Leonard. Budget Books. 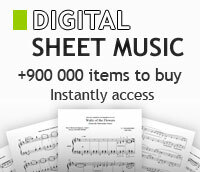 Piano/Vocal/Chords Mixed Folio (Arrangements for piano and voice with guitar chords). Size 8.37x10.87 inches. 352 pages. Published by Hal Leonard. Garth Brooks. For Piano/Vocal/Chords. This edition: Piano/Vocal/Chords. Personality Book. Country. Book. 168 pages. Published by Alfred Publishing. Performed by Carly Simon. Piano/Vocal/Chords Songbook (Arrangements for piano and voice with guitar chords). Size 9x12 inches. 110 pages. Published by Hal Leonard. Performed by Bob Wills. Songbook for voice, piano and guitar chords. 104 pages. Published by Hal Leonard. Performed by Alan Jackson. Piano/Vocal/Chords Songbook (Arrangements for piano and voice with guitar chords). Size 9x12 inches. 98 pages. Published by Hal Leonard. 62 Classic Saddle Songs. By Various Composers. Piano/Vocal/Chords Songbook (Arrangements for piano and voice with guitar chords). Size 9x12 inches. 192 pages. Published by Hal Leonard.